I was returning to Tokyo from Hiroshima and it was my last whole day in Japan. The Shinkansen was speeding by fields of rice, villages, cities and towns. 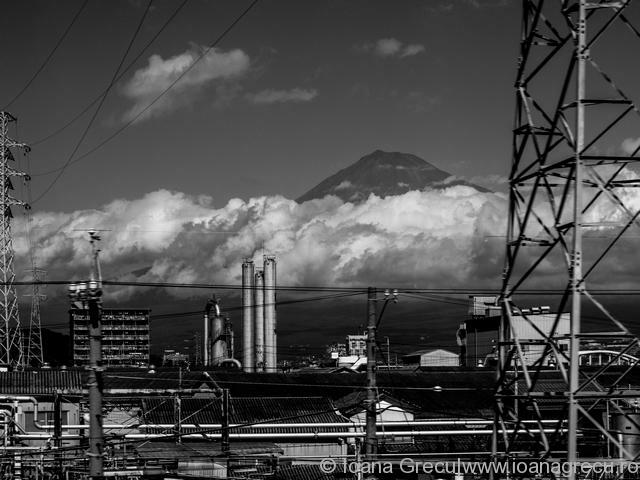 I knew Mount Fuji could be seen from the train and the conductor came by while I was taking pictures from the wagon door window and told be the train will pass by the mountain around 12 minutes past 1 pm but the weather is so so, and it may not be visible. Just my luck, I thought. 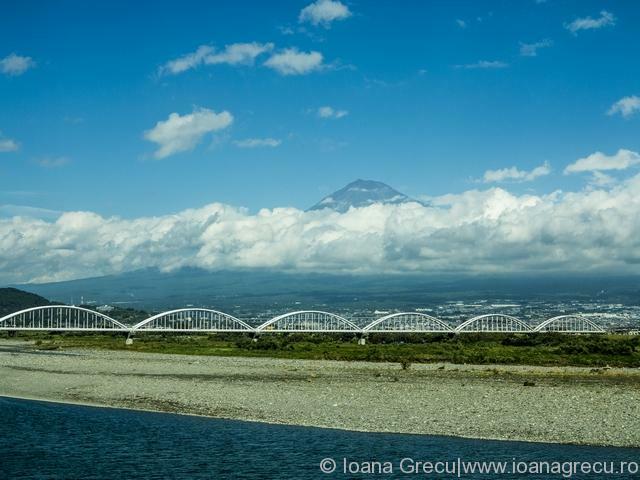 At exactly 1:12 pm the train exited a tunnel and a blanket of clouds was surrounding the majestic Mount Fuji. You could see it’s huge base and the top of the volcano. I only got two pictures but they will always remind me of this trip.